The sun came out and the day just got lovelier and lovelier. A lazy morning buying some presents to bring home. We did go to Saks 5th Avenue to look at all the things we cannot afford. After lunch we met up with Jim and Alison at The Ringling Museum in Sarasota. A few days ago they opened a new Glass Museum there which is also a theatre. Some very rich people donate money and collections to The Ringling and the glass on show was from a collection donated. It was all very beautiful but I felt it was not lit properly, ie photos were very difficult to take! I think though I have some interesting abstract images, and my head is full of ideas of projects! We went from there to the Ringling School of Art and Design where they had another glass exhibition. It was a bit of a glassy day. In the evening Jim and Alison took us to a superb Italian Restaurant in Venice called Angelos. Geoff had a pasta and cheese entree which the chef came and cooked at the table. He was extremely entertaining and produced a beautiful dish. We ended the evening going home to Alisons and playing board games, ie Food Trivia. The girls won! The image was taken tomorrow! 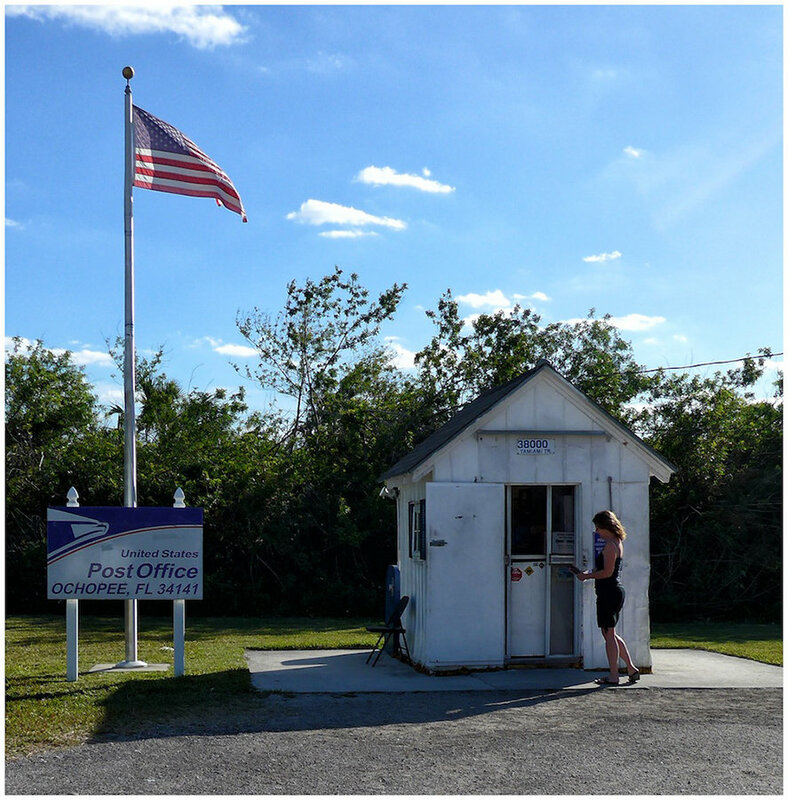 On our way to Key Largo in the Everglades this is the smallest post office in the world, and it opens most days.